A U.S. defense official Monday told CNN’s Washington bureau that two nuclear-capable U.S. Boeing B-52 Stratofortress bombers flew very close to the heavily contested and militarized Spratly Islands in the South China Sea. The aggressive flybys come days after Secretary of Defense James Mattis warned of “consequences” if Beijing continues weaponizing the South China Sea, further accusing China of “intimidation and coercion” in the Indo-Pacific region, which he specifically made clear that Washington has zero plans on leaving the heavily disputed area. 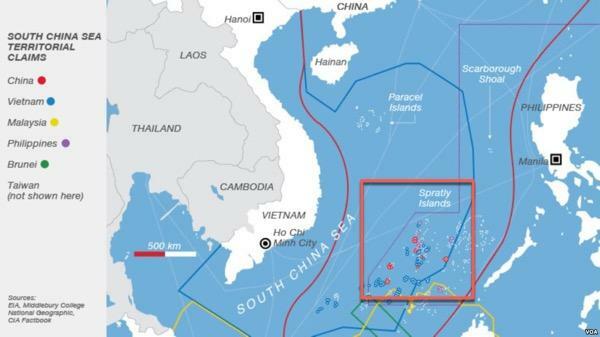 Beijing claims that most of the resource-rich sea, which overlaps claims from Brunei, Malaysia, the Philippines, Taiwan, and Vietnam, belongs to China. 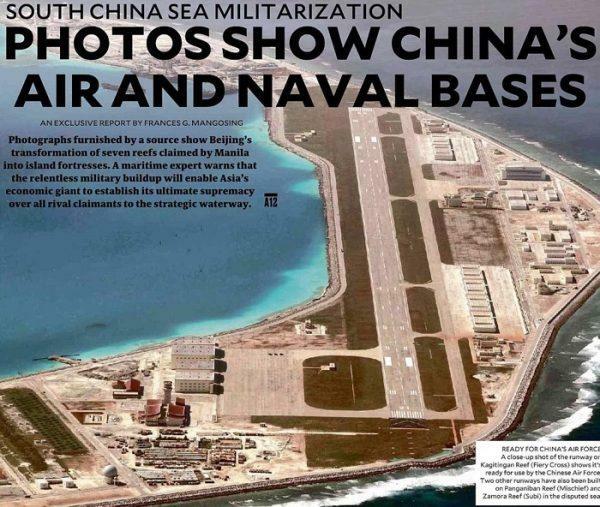 To reinforce such claims, Beijing quickly built artificial islands and erected military bases on Parcels and Spratly islands. Regarding trade, more than USD five trillion in shipping trade flows through the region per annum. The U.S. defense official, who has classified knowledge of the B-52s original flight plan, said the operation called for two nuclear-capable U.S. Boeing B-52 Stratofortress bombers to fly roughly 20-miles from the militarized Spratly islands. U.S. Air Force Captin Victoria Hight, a spokeswoman for U.S. Pacific Air Forces, told CNN that the bombers did not fly in the vicinity of the islands. A Pentagon spokesperson said the Guam-based bombers were on “a routine training mission,” departing from Andersen Air Force Base “to the Navy Support Facility” at Diego Garcia Atoll, a British Indian Ocean Territory. “U.S. Pacific Command’s CBP missions, which have been routinely employed since March 2004, are flown in accordance with international law,” Logan added. “Why does the U.S. choose to sail every now and then close to Chinese South China Sea islands and reefs? What is the U.S. trying to do?” she said. Last month, we reported that the U.S. Navy conducted its “freedom of navigation” patrols near the heavily disputed islands to demonstrate the right to sail through those international waters, which sparked outrage via Bejing. From Mattis to Lt. General He militant jawboning this past weekend at the IISS Shangri-La Dialogue, to U.S. Naval warships and B-52s encircling the militarized islands, followed by China’s warning that any tariffs by Trump would kill a trade deal between the U.S. and China, it appears that Sino-American relations continue to plunge. It seems like the heavily disputed waters in the South China Sea could emerge as the next geopolitical and military flashpoint. 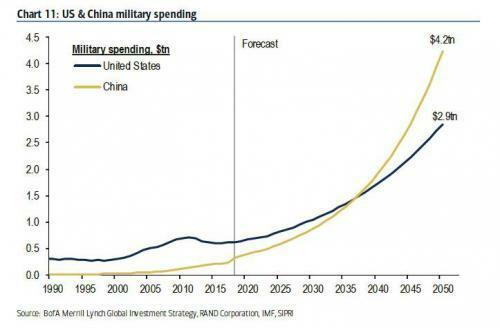 Which, when one considers that according to the RAND Corp, and the IMF, China will surpass the U.S. as the world’s leading military superpower some time in the next 2 decades… As stated below, the trend is evident, Washington and Bejing are preparing for war.